This book is meant to be a textbook for a standard one-semester introductory statistics course for general education students.Over time the core content of this course has developed into a well-defined body of material that is substantial for a one-semester course. 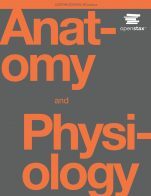 The authors believe that the students in this course are best served by a focus on the core material and not by an exposure to a plethora of peripheral topics. Therefore in writing this book we have sought to present material that comprises fully a central body of knowledge that is defined according to convention, realistic expectation with respect to course duration and students’ maturity level, and our professional judgment and experience. Introductory Statistics (Saylor) by Douglas S. Shafer, Zhiyi Zhang is licensed under a Creative Commons Attribution-NonCommercial-ShareAlike 4.0 International License, except where otherwise noted. The consensus introductory statistics curriculum is typically presented in three major units: (1) Descriptive statistics and study design (first third of course), (2) Probability and sampling distributions (second third of course), and (3) Statistical inference (final third of course). This textbook covers all of these topics. Topic 1 is chapters 1 and 2. Topic 2 is chapters 3 through 7. Topic 3 is done in chapters 8 to 14. There are more chapters on the third topic. Inevitably instructors might not use them all. Each chapter comes with plenty of exercises and exercise answers. There is a good index and glossary. The coverage in each topic is very competent and clear. There is, however, nothing exciting or novel in the the manner in which the topics are covered or the pedagogical approach. Recent trends in teaching introductory statistics have emphasized statistics as a part of scientific investigations. So they have integrated the learning of statistics into the understanding of science. This text does little of that. An emerging trend is to make heavy use of computer simulation and even physical simulation techniques to aid learning. This text does none of that. Content is very competent, accurate, error-free, and unbiased. Instructors will find the many exercises are US-centric. They may find they want exercises that are not that. The content is fairly timeless in its coverage. It is certainly arranged in ways that would make altering it -- for example, to update it or make less US-centric it -- pretty straightforward. The textbook is very clear. The writing style is quite accessible. Many of our students do not have English as a first language. It doesn't look like the text would present issues for their understanding. On the other hand BCCampus might consider having the textbook translated into other languages as its contribution. The textbook is broken into smaller chunks. It looks like an instructor could skip or reorder sections without there being a problem. The text looks like a professionally published textbook. There isn't color and there aren't images. But in other respects it looks good. There aren't any navigation or user interface issues. I could find no grammatical or spelling mistakes in this text. As previously noted many examples and exercises are US-centric. There is no investigation of causal studies. This something some although not all introductory statistics cover. 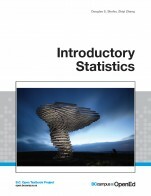 Most introductory statistics texts use the logical structure of descriptive statistics, probability, and inferential statistics to deliver the materials to new students. This Introductory Statistics textbook by Shafer and Zhang is no exception. There is an introduction chapter (chapter 1) that sets out the main definitions and conceptual foundation for the rest of the book. Descriptive statistics is covered in one chapter (chapter 2). Probability and related concepts are covered across four chapters (chapters 3-6). Inferential statistics (chapters 7-9) and their applications to statistical model building and testing (chapter 10-11) form the remaining parts of the content. Collectively these topics form a useful (and standard) foundation for learning statistics. The online version of the text contains a detailed and functioning hyperlinked Table of Contents for the Chapters and Section headings. I was unable to find a glossary or index, but maybe the same functional benefits can be obtained by clicking on the appropriate topic hyperlink and scrolling through the text. One aspect of the content that might be useful to include is the bigger picture notion of: How is statistics used in the real world? The examples and exercises sections provide some hints to students, but contemporary issues such as population growth, climate change and sea level rise are hardly ever mentioned. Including these issues and a connection to the statistical tools that can provide solutions to these problems would help make statistics fun for multidisciplinary students who often perceive statistics as boring and irrelevant. Another aspect of the content is the heavy reliance on the use of a calculator to perform many of the statistical calculations. 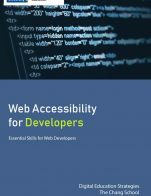 Whilst this may have some value in terms of flexibility for the instructor as stated by the authors in the Preface, the reality is that once students pursue further statistics and other related courses they will be confronted with the needed to use computer software tools. Including this explicitly would have made the book more comprehensive and relevant to the modern statistics student. It should be noted that in the Large Data Set Exercises sections of the book there are some links to digital spreadsheet data that can be articulated as computer-based data analysis practice for students. The contents are free of errors. In the Acknowledgments section the authors listed at least 16 individuals linked to higher education that have provided feedback and suggestions for improving the materials. This adds confidence in the quality of the materials. Many of the exercises and examples use concepts (SAT scores for example) and data that are best understood within the context of the United States. Using the textbook outside of that geographic context may prove to be a limitation in terms of asking students to grasp an understanding of the problem domain before attempting a statistical solution. However, there are a few examples that attempt to break the mold - Section 2.5, Application 20 outlines a problem related to hockey pucks. The statistical core that the textbook focuses on is relatively stable and so changes would be few and far between. This statistical core is up-to-date. The examples and exercises that wrap around the statistical core could use some modifications. For example, issues (climate change, population growth, etc.) that appeal to a wider background of multidisciplinary students can make the entire book more relevant. Making these changes to the existing online HTML files would be relatively easy and straightforward to implement. The text is written in simple and clear prose. There are hardly any sentences more than 20 words long making the statistical messages easily digestible to students whose first language may not be English. Highlighted definition boxes and key takeaway boxes provide adequate explanations of terminology and key points. The quality, layout, terminology, sections and overall value of each chapter are all internally consistent. 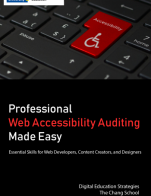 The online Table of Contents also provide a consistent means to access these materials in an easily accessible way. The text is highly modular. Each Chapter is broken down into smaller sections, and on the whole the materials are covered in a very efficient way making the chapters and sections relatively short. The Chapters are self-contained and can be re-ordered down to the Sections level to suit the needs of the instructor/curriculum. The topics are arranged in the standard statistical workflow process of Descriptive/Probability/Inferential/Modeling stages. There are a few instances where there is overflow of the topics from one chapter into another where it might not be a good fit. For example, an introduction chapter (Chapter 1) begins immediately to define core statistical concepts and to start familiarizing students with data presentation. The authors chose to continue data presentation (mainly histograms) in chapter 2 that has been titled Descriptive Statistics. In order to avoid any confusion in the minds of students, it would have been useful to focus the Descriptive Statistics chapter on mean, median, mode concepts. The histogram material could have been merged with the data presentation materials of Chapter 1, and maybe added newer presentation forms such as maps and sparklines, to have a more comprehensive data presentation chapter. Experience has shown that chunking materials using clearly defined boundaries help students to learn better. A particularly useful feature is the learning objective that has been given for each Section. The interface is well designed and organized to enable easy access and pleasing display of the materials. There is some color used throughout the text and this adds to improve the readability and contrast of the images and texts. It is fair to say that figures (especially graphs) are used extensively to illustrate the concepts being discussed. There is no evidence of grammatical errors. However, it should be noted that the online version of the material seems to be of the highest quality - the printed version of the book (of which I had access) had some symbols missing (Section 10.3) which might be due to the printing/conversion of certain of the Greek symbols used to represent statistical parameters. There is no evidence that the text is culturally insensitive in any way. I suspect that the book was designed to be used in the United States and so many of the examples are within that context. If the book is to be used for a student population outside of that context, then some changes (either by the authors or instructors) in the diversity of examples will be needed. Overall, this is a useful book. It does a good job at covering the breadth and depth of the topics one would expect for an introductory course. The content is well presented and easily accessible. The drawback is that statistical computing is not adequately emphasized and that students in Canada will find it a challenge to relate to some of the US-context questions and examples. Some immediate updates that are needed would be: (1) modify chapter 1 to show the links between statistics and real world solutions, (2) directly introduce computer software into the exercises, (3) adapt the questions and examples to be more relevant to an international audience. The text covers some of the areas of the subject, albeit not in-depth. the plan for the further study. leaves open the question "why" do the particular formulas apply. Glossary is not provided other than chapter-by-chapter. the position of the mean would nearly halfway between the modes. wrong impression about the shape of the Student distribution. methods, Bayesian estimation, multivariate distributions, to name a few areas. for the last chapter (ANOVA). the part of the reader in every instance a new formula is presented. 1. Overscripted variables are not typeset well in Word. of resolution (see the example 21, page 93). images, even where the Student distribution images are needed. from navigation through the parts entered as text. Grammar has been very well proof-read. for students with little previous experience with statistics and probability. 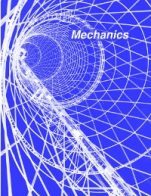 The book’s coverage is pretty good at an introductory level, including some suggestions of presenting the data, the standard statistics concept and the way to compute them, and even some linear model, which does not always appear in an introductory statistics book, but would be useful for students to learn advanced statistics or econometrics. Yes, no major mistakes are found. However, attempting to use words to describe many statistics concept is always a bit harder than using rigorous math, so it’s natural that in explaining some of the concepts, it’s not so rigorous in those words. The presentation of the book is pretty classic, but no super new fancy stuff is introduced there. On the other hand, it’s also hard to do so in an introductory level statistics book, since most of the new fancy concepts would suit better for a graduate student text, but not this text. Finally, the book seems to avoid examples that quotes new date and new events, which is a good way to maintain the longevity of its own. Yes, the book is very easy to read, and only requires a little fluency of English, should be quite easy for the foreign students. At the same time, the way the authors present the material are quite intuitive and clear. The book is quite consistent. Although concepts are very much linked with each other across Chapters, there’s no major conflicts amongst them. This is not always the case for this book. In these math settings, every concepts are linked to the concepts linked previously, so it would be a bit hard to separately view them. The structure of the book is extremely good. It starts with very easy introduction of what it means by these statistics, then gave a separate hapter for descriptive statistics. The separation of sections of discrete vs. continuous random variables makes it less confusing for students who haven’t had exposure to random variables. Then the book gets a bit harder on sampling on testing, all with separate sections. Overall, it’s a very nice way to structure the book. Graphs, tables and appendix are very supportive as well. I found the presentations of graphs a bit coarse, and in some sections, the size doesn’t match very well from graphs to graphs ( with the similar importance or ideas). But the graphs and charts themselves have no problem. I found almost no gramma errors, the textbook is written in plain English, which is easily understood as well. Yes. As the basic statistics concepts everywhere, so is this book applies to its readers. Though the book use some examples from the United States, it’s not a problem for readers from other cultures to understand the basic mechanism of math underlying these examples. The author could organize the book a bit better. In some part of the equations, it looks like they are copied pictures from typing somewhere else, which look not so elegant. Also, when presenting a graph, they should better be centered.